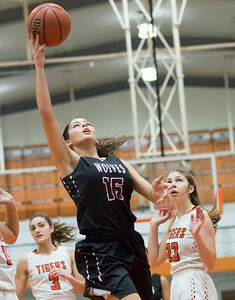 Sarah Nader - snader@shawmedia.com Prairie Ridge's Nicole Dorn shoots a basket during the third quarter at Wednesday's game against Crystal Lake Central in Crystal Lake Jan. 3, 2018. Prairie Ridge won, 47-42. Sarah Nader - snader@shawmedia.com Prairie Ridge's Nicole Dorn (left) and Crystal Lake Central's Madelyn Hollander fight for control of the ball during the second quarter at Wednesday's game in Crystal Lake Jan. 3, 2018. Prairie Ridge won, 47-42. 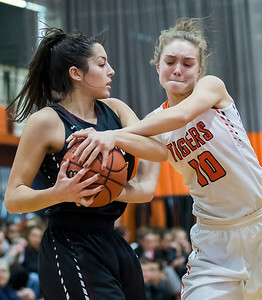 Sarah Nader - snader@shawmedia.com Crystal Lake Central's Emma Fleming (left) is guarded by Prairie Ridge's Bailey Gorman while shooting a basket during the first quarter at Wednesday's game in Crystal Lake Jan. 3, 2018. Prairie Ridge won, 47-42. 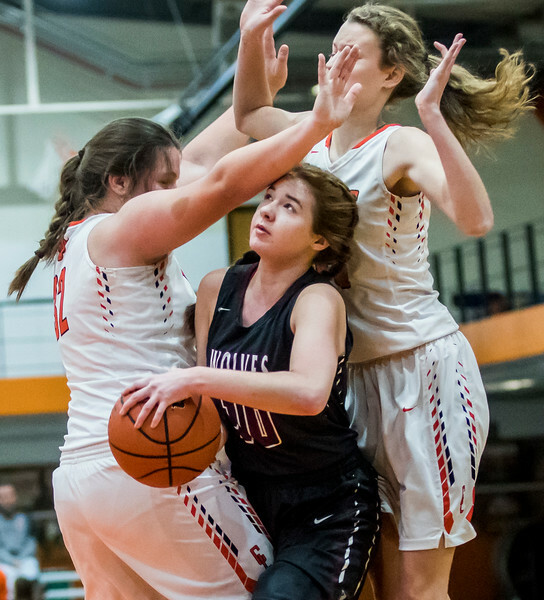 Sarah Nader - snader@shawmedia.com Prairie Ridge's Alana Mocchi grabs the rebound during the third quarter at Wednesday's game against Crystal Lake Central in Crystal Lake Jan. 3, 2018. Prairie Ridge won, 47-42. 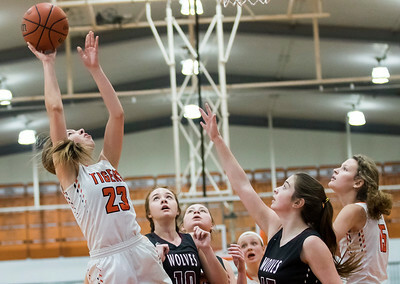 Sarah Nader - snader@shawmedia.com Prairie Ridge's Karly Statter (center) shoots a basket during the third quarter at Wednesday's game against Crystal Lake Central Jan. 3, 2018. Prairie Ridge won, 47-42. 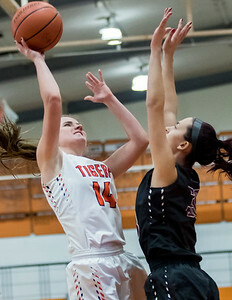 Sarah Nader - snader@shawmedia.com Crystal Lake Central's Megan Wozniak shoots a basket during the second quarter at Wednesday's game against Prairie Ridge in Crystal Lake Jan. 3, 2018. Prairie Ridge won, 47-42. 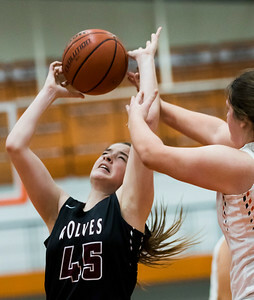 Prairie Ridge's Karly Statter (center) shoots a basket during the third quarter at Wednesday's game against Crystal Lake Central Jan. 3, 2018. Prairie Ridge won, 47-42.